One week from tomorrow. Where did time go?! A day where most of us eat wayy too much turkey. Then blame our lethargicness on the tryptophan. I decided that the cute little turkey cookies from last week’s post were just not enough chocolate for Thanksgiving. 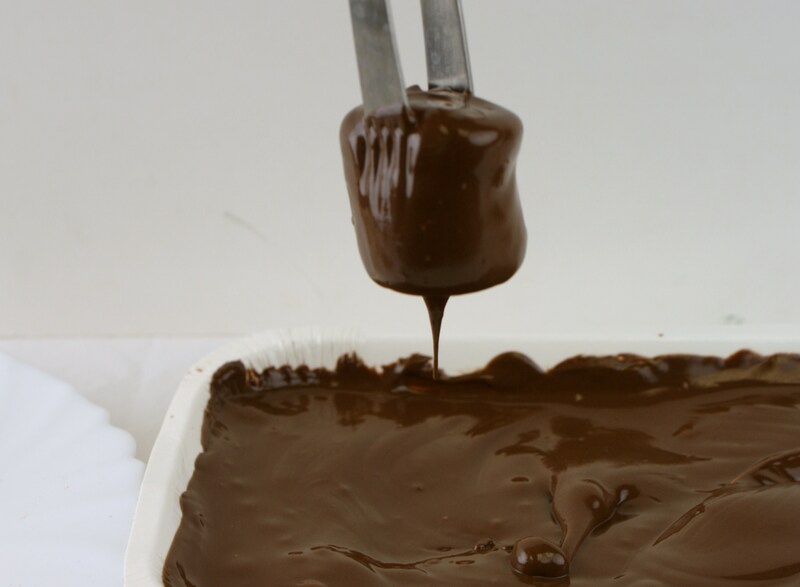 And we all know that I’m not going to dip my turkey in CANDIQUIK – or wait?! Am I?! Should I?! 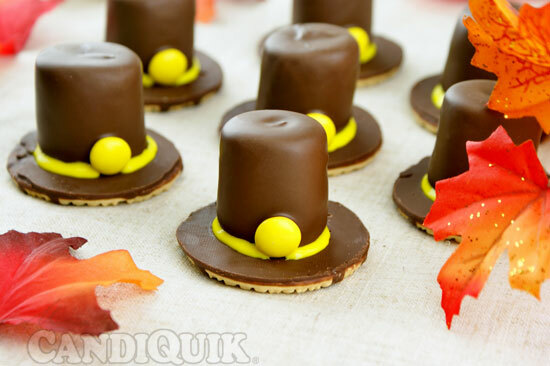 I don’t think you’re ready for that, so instead let’s make these Chocolate Pilgrim Hats. A cute and easy Thanksgiving treat made using marshmallows, cookies and CANDIQUIK! 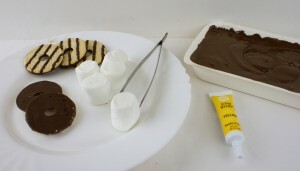 Place cookies (with stripes facing down, chocolate side up) on wax paper. 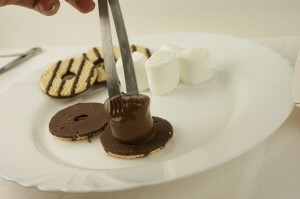 Using a toothpick, dip marshmallows in melted CANDIQUIK Coating and place in center of cookie. Press an M&M on the base of the marshmallow. 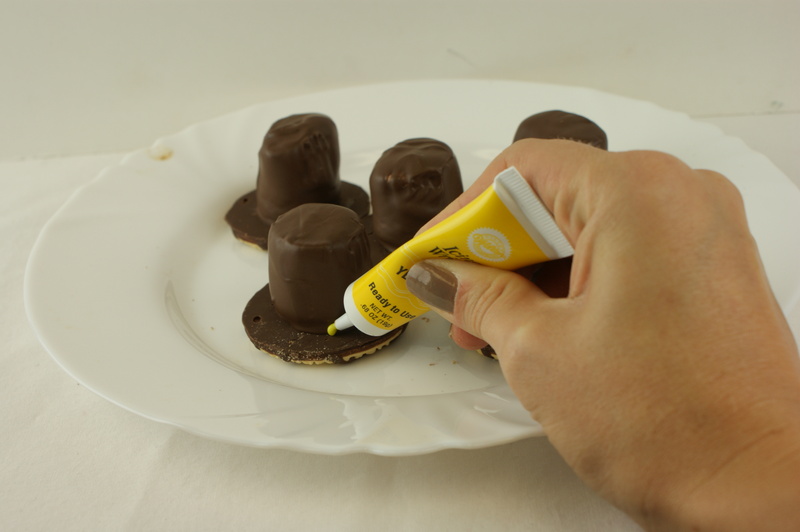 Once set, use yellow icing to pipe the hat band around the base of the marshmallow. That was easy enough, right?! And cute. And as always, thank you for visiting! 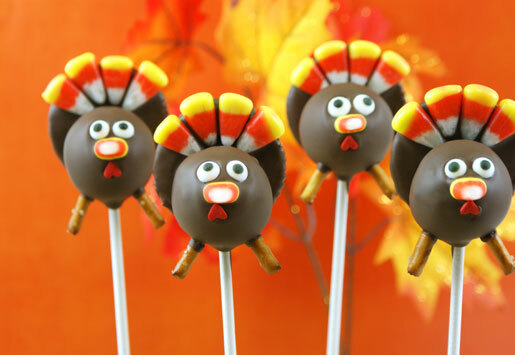 Don’t miss out on how to make these adorable Turkey Cake Pops HERE! Love ‘em! You are full of holiday ideas, Miss Candiquik!